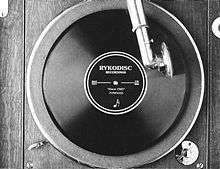 Rykodisc had some notable successes in the CD-reissue industry, as artists such as Elvis Costello, David Bowie, Yoko Ono, Frank Zappa, Nick Drake, Nine Inch Nails, Sugar, Robert Wyatt, and Mission of Burma allowed Rykodisc to issue their catalogs on CD. Rykodisc also re-released the SST Records-era recordings by the Meat Puppets. It also was responsible for the first release of the "I Am the Cosmos" LP by the late Chris Bell of Big Star, another band on the label. Turntable artwork by Steve Jurgensmeyer for Rykodisc CD reissues (1993–1994) in bottle green jewel cases. On March 23, 2006, it was announced that Warner Music Group acquired the Ryko Corporation for $67.5 million. When Warner bought Ryko, it acquired the label's Frank Zappa master tapes, entitling Warner to any reissue rights—an irony considering Zappa's outspoken hatred for Warner, with whom he acrimoniously parted ways in 1979. The Zappa Family Trust and Ryko parted ways in 2012 with the Zappa Family Trust reacquiring Frank Zappa's recorded music catalogue and Universal Music Enterprises taking over distribution of the Zappa catalogue. Also in 2006, the independent publishing company EverGreen Copyrights purchased the Rykomusic publishing catalogue, among others. In 2009, Ryko Distribution was folded into Alternative Distribution Alliance. Currently, ADA acts as the distributor for all Rykodisc releases in the United States. ↑ Bruce Britt. "CD-Only Rykodisc Label Decides to Give Vinyl a Spin." Chicago Tribune, July 14, 1988, p. 11C. ↑ "Jonathan F.P. Rose | Theatre for a New Audience". Tfana.org. Retrieved 2016-09-28. ↑ "Ryko bought by Warner." Ottawa (Ontario) Citizen, March 25, 2006, p. D3. ↑ Christopher Morris (2012-06-11). "UMG sets Frank Zappa re-releases". Variety. Retrieved 2016-09-28. ↑ Marchese, Joe. "Freak Out! Zappa Family Trust Strikes Deal For Reissue Of 60 Albums From Universal, Roll-Out Begins In July". The Second Disc. Retrieved 2016-09-28.